“Healthy eating is so expensive!” I’ve heard this excuse from multiple people, multiple times. Well, I’m writing this post to let you know that THIS IS NOT TRUE! Trust me, I understand why some people may feel this way. On social media, we see so many “healthy eating” pages posting people eating quinoa, kale, gluten-free snacks and other food items that are considered quite expensive for the average consumer. Well, if you choose to eat these foods then of course the total on your bill will be high. You don’t have to buy quinoa or agave syrup in order to be healthy! 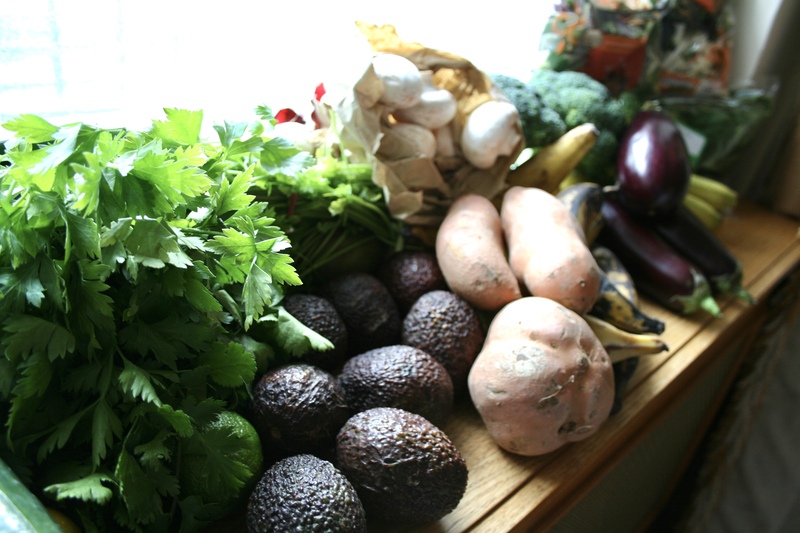 As nice as it may sound, we all can’t afford to eat organic foods and that’s okay. 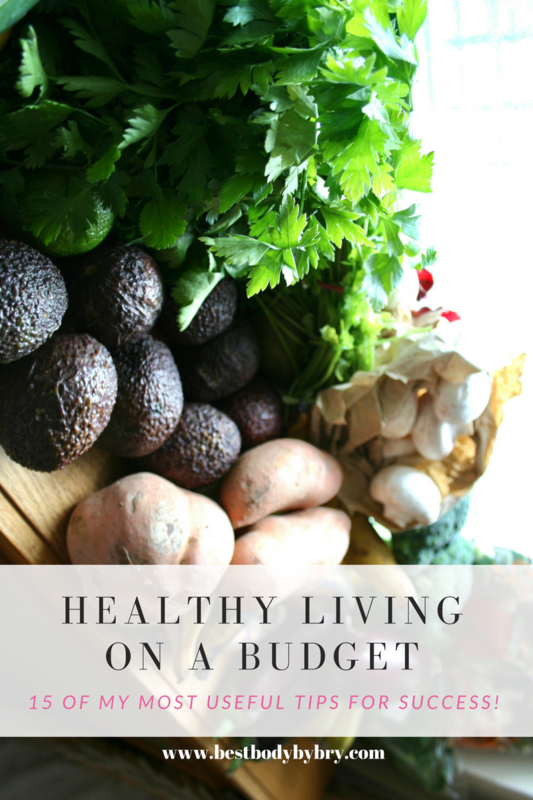 Healthy eating on a budget is about doing your best within your means. I’m here to tell you that you don’t have to eat the cliché healthy foods in order to lead a healthy lifestyle. Depending on where you live in the world, there are many foods that will contribute towards your health that will not break your bank. You don’t have to eat foods that are considered “trendy” in order to be healthy! 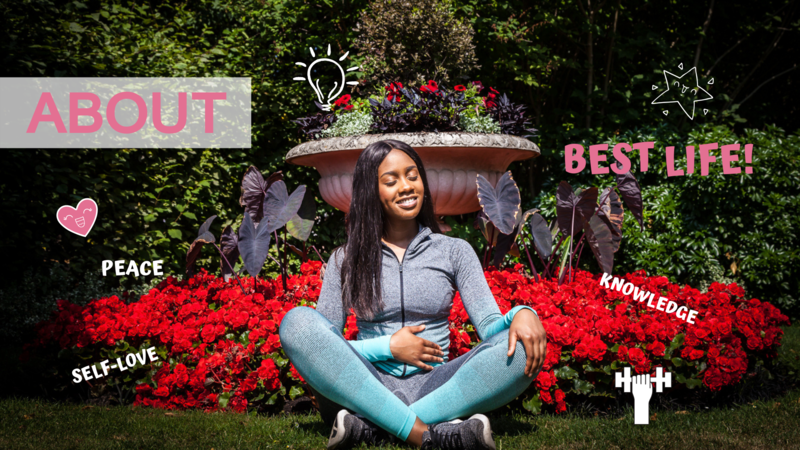 This post will provide you with some tips to ensure that you make healthier choices without exceeding your budget. As a disclaimer, these tips are what have worked for me. You will need to adapt them to your lifestyle and the parts of the world you live in. Anyway…..without further ado, here is a graphic summarising my top tips and below it you will find more details. There’s no way around cooking if you want to lead a healthier lifestyle on a budget. Cooking your own food is much cheaper than buying meals out. For the same price as one meal, you will typically be able to make at least 4 portions of it at home using ingredients from the grocery store. Meal planning is a key to success and I could go on about the benefits. Deciding what you will eat at the beginning of each week ensures that you know exactly what you want to buy and how much you can budget towards food. I’m sure we’ve all experienced the feeling of regret after going to a grocery store intending to buy one thing and ending up buying 10. Writing down exactly what you need is psychological as it makes you more likely to buy what you NEED and not WANT in the moment. If you absolutely cannot resist temptation at a grocery store then why not do your shopping online instead? This way you’ll be able to resist the whiff of fresh croissants in the air or the sight of your favourite chocolate bar. Shopping for foods, especially fruit and vegetables, that are farmed in the country you are in is much cheaper than buying food that has been imported. Going to local farmers markets is a great way to learn about your home-grown produce. buying in season is so important. During winter in the UK, I avoid buying berries on a regular basis because they can be very over-priced but I indulge in them over the summer. Kale is also so much cheaper in winter than in summer so I fill my shopping bag with this nutritious, leafy green veg. Do some research and get to know what fruit and vegetables are in season where you are and this could save you a hot penny. Ready made foods are more expensive than making your own versions at home. For the same price, you will be able to make many more portions when you buy the individual ingredients. You should also acknowledge that ready cut produce, such as already sliced onions or carrots, are more expensive than buying a loose onion or carrot and chopping it yourself. For example, one onion in my local supermarket costs 16p at the moment but a 180g container of chopped onions (approx 2 onions) costs £1.50. Doing the easy labour yourself is worth the cost! There is no shame in browsing through the discount aisle. In fact, you’re smarter if you do! This is especially the case if you are a meat eater. Supermarkets throw away so much food on the food’s “best before” date. Remember that “best before” does not mean that the food actually expires on the day. It simply means that the food may taste fresher before this date. I’ve been able to cop so many useful discounts from the discount aisle. Another tip is to freeze food from this aisle so that it lasts much longer. Meat can be frozen for 4 months and fruit and vegetables can be frozen for 12-18 months. Just like looking in the discount aisle, there is no shame in buying non-branded foods or supermarket own brand. These tend to be the exact same product just in different packaging. I noticed this when I bought a branded oat biscuit one day only to buy the supermarket brand on another occasion, which was half the price and realise that it was the exact same biscuit! Don’t be fooled by consumer marketing! Buying a whole chicken and cutting it is so much easier than buying pieces. I realised this a few months ago and am so glad I did. Buying the whole chicken also ensures that I have access to every part of the chicken from the thighs to the wings to the breasts. I LOVE CHICKEN, guys! One reason why you may feel like you have to constantly re-stock your groceries could be because you are eating more food than your body requires. Learning about portion control ensures that you don’t overeat and over buy food. I’ve never gone through a whole week without giving in to temptation at least once. I always bear in mind, when creating my budget, that some days I may want a piece of chocolate or a smoothie from my favourite juice bar. And this is okay. You have to be realistic with yourself (but of course don’t over indulge). Sticking to a meal plan can be boring at times so you have to leave extra money for flexibility. Avoid waste by re-eating your leftovers, freezing your food and remixing your old recipes to produce new ones. For example, if you have leftover boiled rice, you can make a stir-fry with it. Grains tend to be very very cheap , usually under £1 per 250g in the UK. Wholegrains are packed with vitamins, nutrients and essential fibre that your body needs. Make sure to eat them in moderation and stack your cupboards with them because you can afford to do so! At then end of the day, I can give you all these tips but if you continue to make excuses for yourself then this post will be invalidated. You have to look at healthy eating holistically as a lifestyle and if you really want to commit to it, you should be willing to put in the effort to achieve your goal. Nothing comes easy and achieving your goal will always come with having to make adjustments to your lifestyle. But once you achieve them, you will never regret the effort you put in!